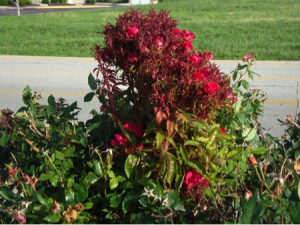 Specimens from rose bushes in residential landscapes in the Galleria area and Northwest Harris County have tested positive for rose rosette virus (RRV). The presence of the virus was diagnosed by Dr. Kevin Ong, Plant Pathologist from Texas A&M AgriLife Extension. “These are clearly not newly planted bushes,” says Gaye Hammond, Past President of the Houston Rose Society. “Their size makes us think the infected bushes are at least five years and probably closer to seven years old,” she adds. RRV (also called rose rosette disease) is a contagious virus for which there is no cure. 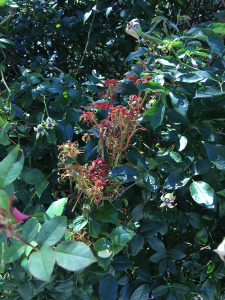 The virus is spread by eriophyid (wingless) mites who feed on an infected bush and then are transported by wind, rain, birds, other insects and leaf blowers to a healthy bush. When the relocated mites feed on the healthy bush, they inoculate the plant with the virus. 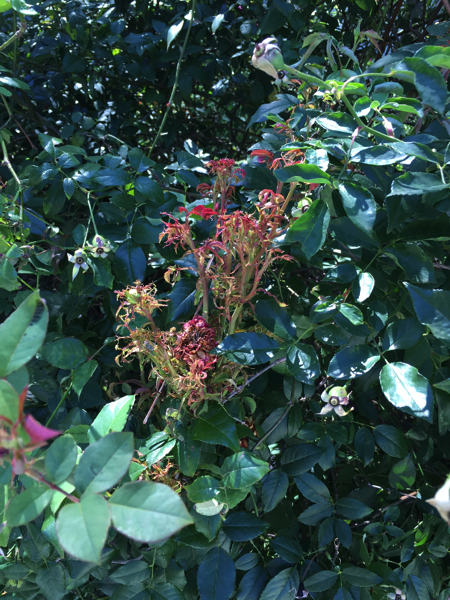 Infected roses with a confirmed diagnosis of RRV should be removed completely from the garden and we will post suggestions on how to do that on the Society’s website. Be sure to remove the roots as these may serve as a source of reinfection. Dispose of infected bushes by burning or bagging the infected rose. Do not compost plants with RRV symptoms. This disease produces unique symptoms, but those symptoms are easily confused with other causes. Contact with herbicides and feeding by chilli thrips can also produce symptoms similar to RRV. For these reasons, positive identification of symptomatic plants is imperative. Photos of symptomatic plants may be sent to Gaye Hammond, [email protected] and she will be happy to help with a diagnosis.